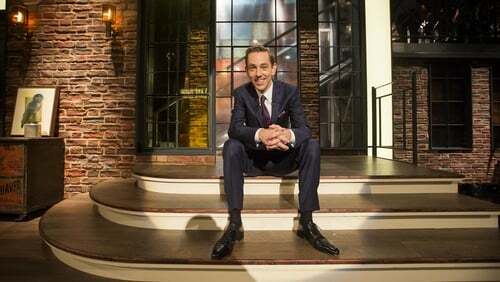 Fianna Fáil leader Micheál Martin heads the list of Ryan Tubridy's guests on this week's Late Late Show on RTÉ One. In what promises to be a wide-ranging interview, the leader of the opposition will chat about his time at the helm of Fianna Fáil, rebuilding the party in the past decade and his vision for the future. He’ll be discussing the decision to support the current Fine Gael-led Government through a confidence and supply motion, how he thinks that has impacted on Fianna Fáil’s popularity with the electorate and how long more that agreement might last. And he’ll be asked what he really thinks of Taoiseach Leo Varadkar and Sinn Féin president Mary Lou McDonald. Other guests include Emer McLysaght and Sarah Breen, the two women behind the publishing phenomenon that started with the huge success of Oh My God, What A Complete Aisling. Now onto their second novel and with a film in development, they’ll be telling viewers where the inspiration for the Aisling books comes from and why they think it has connected so well with audiences. Kerry footballer Kieran Donaghy will be in studio to discuss his retirement from inter-county football and to look back over a career that saw him win four All-Ireland medals and three All Stars Awards. He'll also share what's next for him. Sports broadcaster and recent dancing convert, Des Cahill joins Ryan Tubridy to chat about uncovering some unexpected family secrets in his new book, Play It Again, Des. Viewers will have the chance to win a holiday to Miami and $5,000. Plus, Sibéal will be performing her stunning version of The Cranberries’ Linger as Gaeilge, and there'll be more music from Kodaline.